we will charged one night total of room that you have booked for the cancellation. 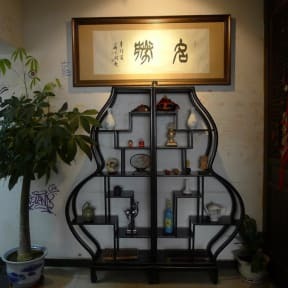 Ming Courtyard is a traditional style Chinese hostel, located in a fascinating and historic Beijing hutong. Located just off the famous 'Ghost Street', you have dozens of fantastic restaurants as well as Beijing's best nightlife at your fingertips during your stay. The nearest subway station is BeiXinQiao on line 5, around 5 minutes walking distance away. We also have DongZhiMen transport hub 15 minutes from us, making the Airport Express easily accessible to you. 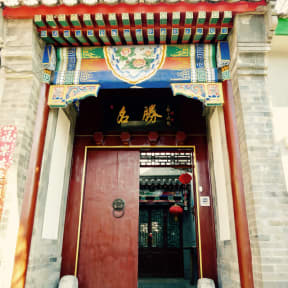 There are many famous sightseeing spots close by; you can walk to the Lama Temple, the Temple of Confucius and Nan Luo Gu Xiang. The Forbidden City and Wangfujing are easily reachable. Our spacious and peaceful courtyard means that you can make the most of the most popular nightlife spots while also having a space to relax in and meet fellow travellers. What are you waiting for? Your adventure starts at the Ming Courtyard Hostel! Whether you're here to party, go sightseeing, book tours or just relax in Beijing, we cater to all guests :-). Nobody else in my room so hard to complain, but of course you can't count on that. Ensuite bathroom was ensuite as described, and only a 4-person room so altogether a good value for a well-located hostel in Beijing. Cool neighborhood. I was almost afraid to stay here after reading some of the reviews. Either a lot changed or the reviews weren't accurate. There is nothing wrong with this place. The showers aren't " gross", it's 7 min walk to the station, the staff are nice. I liked it. Great value for money. Recommend. Shower head didn't work so we had to use the waist-high faucet in the shower stalls instead of the tall shower head. Big plus was the location--super close to the subway stop. Also, staff were very helpful and spoke good English. The location is super good, close to MRT station. The beds are comfy and the shower is amazing (pressure&hot water). However, there is no social atmosphere and the staff really did not seem that happy to work there... I think it's a bit overrated for a bed in a dorm but it's the price in Beijing. The dorm we stayed in was very clean, AC worked well, and the courtyard was very cute. Staff was helpful, more of a quiet scene. The price is way too high. The location is bad because it's too far away from the city centre. The staff can't offer you any help or give you tips. You're lucky if the staff member at the reception can speak a little bit of English. We also got a tiny little room with a bunkbed, although I had booked and payed for a twinroom. I got a much more comfortable room, right in the city center for the same price!